In the mid-1800s, no one really knew how the stars shone. By this time we had a solid understanding of energy, and that energy is conserved. That is, energy must come from somewhere, and it must go to somewhere. We also had a general understanding of thermodynamics, specifically that you could squeeze something to heat it up. This gave us a mechanism which could cause the stars to shine, known as the Kelvin-Helmholtz mechanism. The basic idea of this mechanism is that for a large body like a planet or star, gravity tries to compress the star or planet smaller and smaller. This compression heats the core of the body, which is radiated as light. In this way a star could be heated by its own weight. That’s quite a long time, but it disagreed horribly with geology, where fossil evidence demonstrated that life existed on Earth for several hundred million years, likely much longer. Then in 1905 Albert Einstein published his paper on special relativity. One aspect of special relativity is that energy and mass are two sides of the same coin. Mass can become energy and energy can become mass. Just how much energy you can get is surprisingly large. If we could convert one paper clip entirely to energy, it would cover the average person’s energy consumption for more than a decade. We soon came to understand that the Sun produces its light and heat by converting mass to energy through nuclear fusion. But this raised another mystery having to do with the number of neutrinos emitted by the Sun. 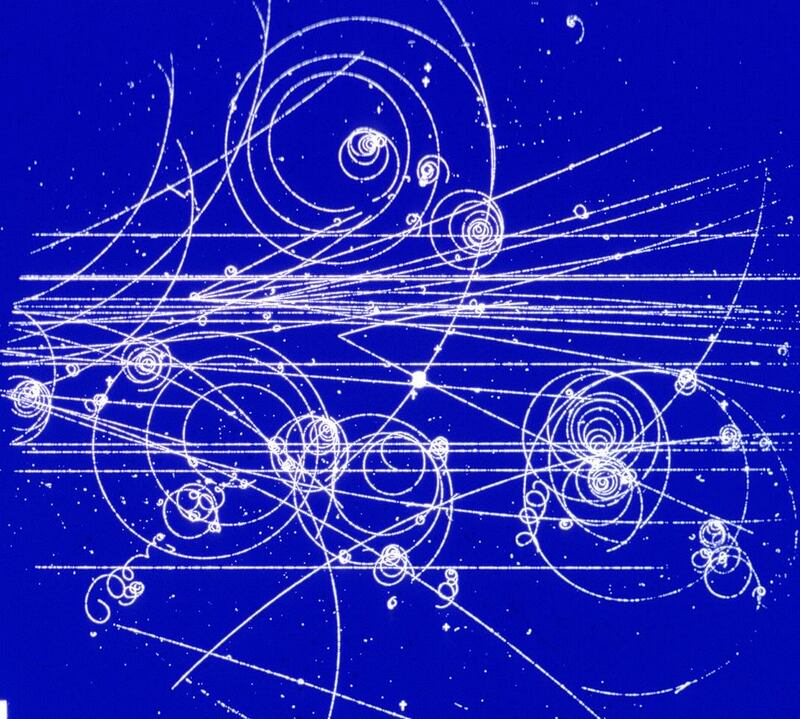 Neutrinos were first proposed by Wolfgang Pauli in 1930, but their existence wasn’t solidly confirmed until 1956. Neutrinos interact very weakly with other particles, so it took a nuclear reactor to produce enough neutrinos to be detected in the lab. Modern neutrino observatories, sensitive enough to observe solar and astrophysical neutrinos, are large arrays of detectors. Since neutrinos are byproduct of nuclear fusion, the Sun must produce neutrinos in its core due to the fusion of hydrogen. These solar neutrinos were detected in the mid 1960s, but it was found that the number of neutrinos was a third the expected amount. This result was repeatedly confirmed, and it became known as the solar neutrino problem. A neutrino image of the Sun. Credit: R. Svoboda and K. Gordan – LSU. 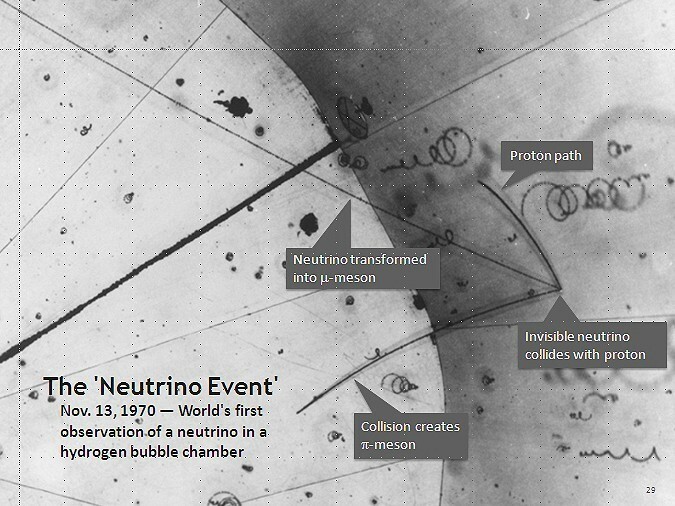 It wasn’t until 1998 that neutrino oscillation was confirmed. But with that discovery the solar neutrino problem was resolved. What began as a central mystery of our Sun ended with a deep understanding of particle physics.